Everyone loves Santa Maria Aquamarine Gems and it is obvious why. The beautiful Aquamarine blue tone gems have a trendy soft pastel blue to a deep blue which is very popular and given the right cut, the translucency reflects light with the blue hue from many angles within. The santa maria is an origin in Brazil but not all stones from Santa Maria mines are called the Santa Maria Aquamarine. The color of the stone decides whether it is a Santa Maria Aquamarine stone or not. Here is a short video clip from the Royal Wedding of the Duchess of Sussex Meghan after her wedding to Prince Harry, wearing Princess Diana’s Aquamarine gorgeous (and large) gemstone ring and in the sporty Aquamarine Blue colored car on their way to the reception. Santa Maria Aquamarine gems are also trending in Aquamarine engagement rings. The couple tied the knot at Windsor Castle, in front of close friends and family. The event was attended by a vast array of A-list celebrities including David Beckham and Serena Williams. Highlights of the ceremony included Bishop Michael Curry’s passionate speech. Which was your favorite moment? You can view the Meghan and Harry Royal Wedding Highlights here from Business Insider. Aquamarine Octagon gemstones are getting very very popular throught the world as the above event had a million eyes and influenced thousands. 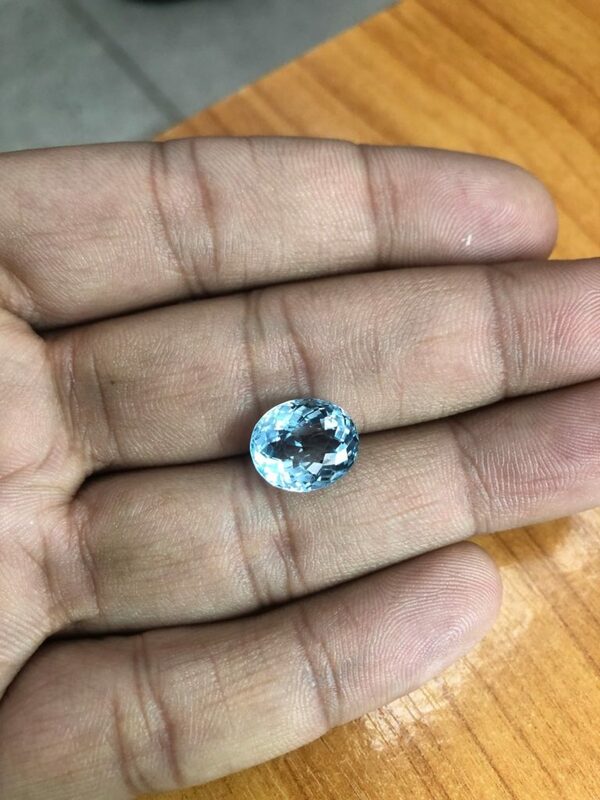 Navneet Gems has been getting continous orders for Aquamarines in mostly Octagon shapes in AA+ and AAA colors mostly bigger stones above 3 carats. However we are able to make all sizes in all price point orders. Aquamarine has its name derived from the Latin word “aqua” for “water” and “marine” for “sea” Many legends regarding the sea have been attached to the gemstone over the years. Believed to be the treasure of mermaids, the Aquamarine gem is said to be especially strong when submerged in water. 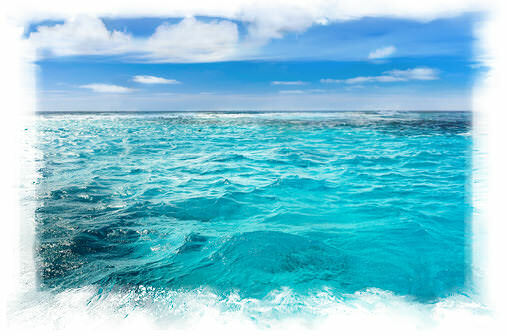 Sailors were also said to have taken Aquamarine to sea as a lucky charm to protect against shipwreck, and many people today still wear Aquamarine to prevent travel sickness. Also, since early times, the aquamarine meaning is that it has been believed to endow the wearer with foresight, courage, and happiness. The Santa Maria Aquamarine often describes those with a deeper shade of blue than normal. The name is derived from the Santa Maria de Itabira mines of Brazil, where the first such stones were discovered in the 1950s and where deep and vibrant Aquamarines have been found. The gemstone Aquamarine is the March birthstone as adopted by the American National Association of Jewelers in 1912. Aquamarine and particularly Santa Maria Aquamarine Gems are a real favorite of many gem collectors worldwide. As a member of the Beryl family, Aquamarine’s characteristic pale blue color is created by the presence of iron. Likewise, all members of the Beryl family obtain their colors by the presence of metallic elements, without which pure Beryl remains colorless. It is 7.5-8 on the Mohs scale of hardness. Allochromatic Gemstones are gemstones that are colored by nature in this way. The Aquamarine’s beryl brother Morganite is colored by manganese, and its older and nearly equally popular beryl brother Emerald, receives his lush green hue from the presence of chromium, iron and vanadium. 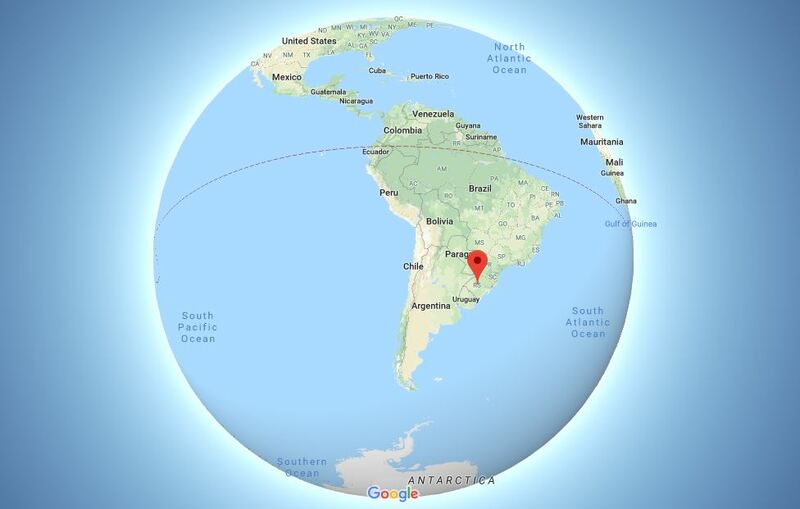 A Santa Maria Aquamarine Blue color world map showing Santa Maria Brazil where the original mine is located and the Blue Oceans that Aquamarine Gems reflect. The largest source of Santa Maria Aquamarine is found in the state of Minas Gerais in south-east Brazil, but today Africa is becoming a strong rival, with mining activities in countries such as Madagascar, Mozambique, Nigeria and Tanzania. 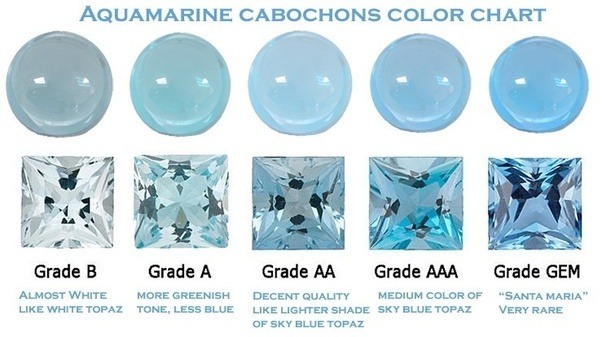 Aquamarines on the market today are often faceted, but when cut as a cabochon, they may display a cat’s eye effect known as asterism. Are origins like where Santa Maria Aquamarines are mined, important to the value of Aquamarines? 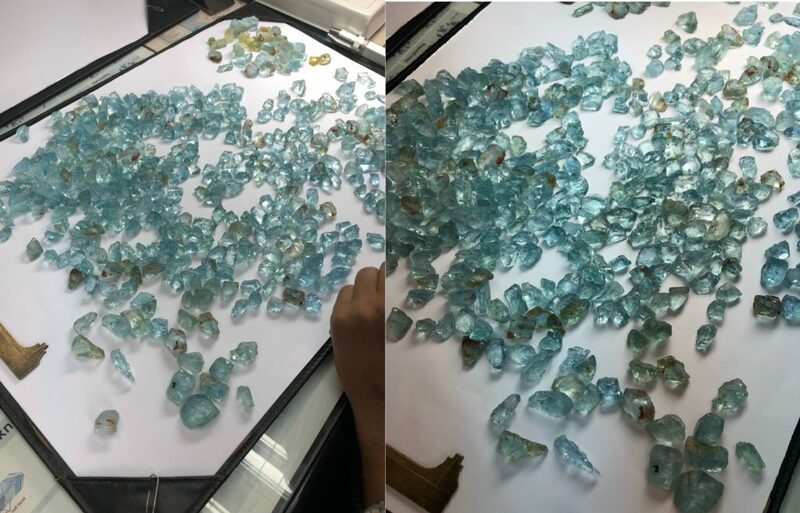 In the photos above we have a loose selection of Aquamarine that we are sorting while at our recent booth at the Bangkok Gem and Jewelry Fair. With the growing popularity of Santa Maria Aquamarine gems and Aquamarines in general, we are doing a steady business in them for our wholesale bulk buying clients worldwide. Another of Our Aquamarine Gems from Stock. We can ship your Wholesale Santa Maria Aquamarine Gems worldwide and even by sea if you prefer, to enhance their magical properties as legend has it. We guarantee the value and quality either way (sorry the magical part is up to you to verify). Any cut, shape, color, clarity, quality and so on is available on our bulk order supplies. Get in touch with us through the Contact link and you will see our form or email, whatsapp and phone there if you like. We will respond promptly with one of our team and answer any questions you may have on ordering. We look forward to your contact.